We invite you to explore our many resources, including case studies demonstrating how we’ve helped organisations achieve long-term, sustainable improvements and short videos which synthesise some of our most valuable research findings. Six Sigma uses a powerful framework (DMAIC) and statistical tools to uncover root causes to understand and reduce variation. It’s about doing things right (defect free). Case study: The Toyota recall – has Lean failed? James Doctor, a leadership consultant specialising in millennials, talks to us from a millennial’s perspective about what they are seeking in work terms. Humans are visual creatures. Half of the human brain is directly or indirectly devoted to processing visual information. How the Sydney Symphony Orchestra’s Fellowship program helps talented young musicians manage themselves within a high-performing team. A worked example of improving management capability to realise greater levels of operational productivity and competitiveness. Does one percent really matter? By focussing on a series of small improvements, you can have a massive impact on your organisation’s performance. Are you leveraging your 1% opportunities? What can Australia do about its great productivity challenge? 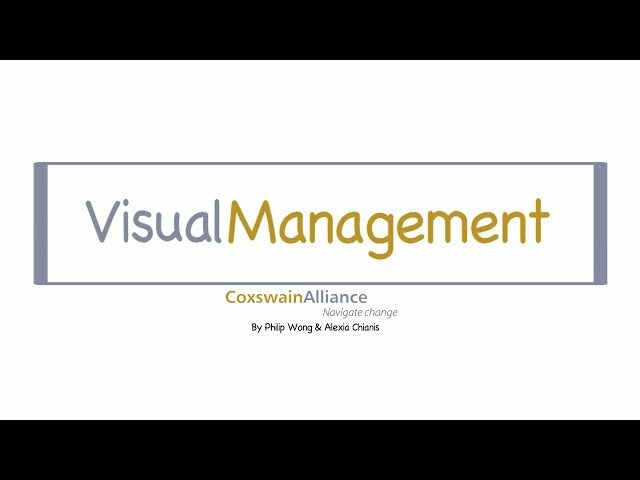 This short video provides managers with an introduction to Visual Management and explains how ‘making work visible’ can be a powerful way of enabling organisation performance. It also covers some general ‘rules of thumb’ to help managers in developing any Visual Management tools. Looking to develop some operations discipline in your business, or wondering how you could improve performance in your team? Have a look through our selection of 'primer' videos on various topics aimed at giving managers some support in developing their routines or improving their operations. 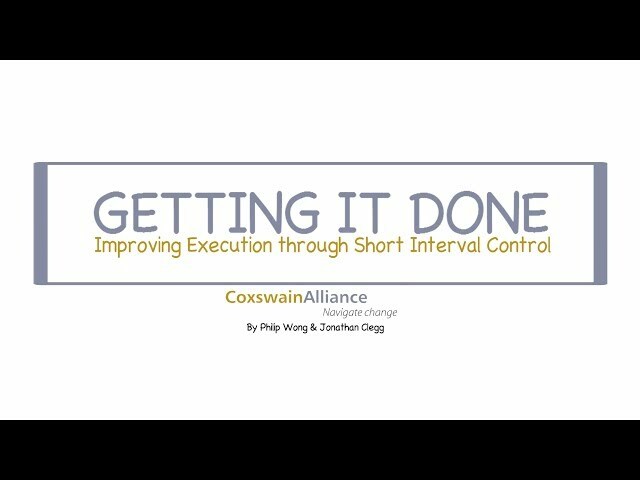 For more information, or to see how else we can assist you with all your business improvement needs, talk to us at Coxswain Alliance - http://www.coxswainalliance.com. This short video provides managers with an introduction to the operations discipline of Short Interval Control - a simple, low-cost but effective technique for improving the dialogue and engagement within a work team, as well as the likelihood of achieving any deliberate plan or goal. Dealing with inertia in your workplace or team? This short video provides managers with insights into some of the major drivers of apathy in the workplace as well as how they can begin to break the paradigm and start to unlock the true potential of their team or workforce. This short video provides guidance on what managers should aim to achieve in developing their own huddle as well as how they may structure it to get the most out of their huddle. Looking to develop some operations discipline in your business? Have a look through our selection of 'primer' videos on various topics aimed at giving managers some support in developing their routines. 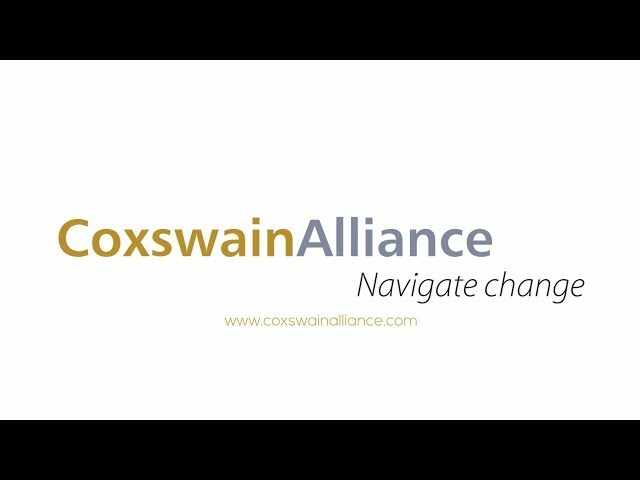 For all your business improvement needs, talk to us at Coxswain Alliance - http://www.coxswainalliance.com. 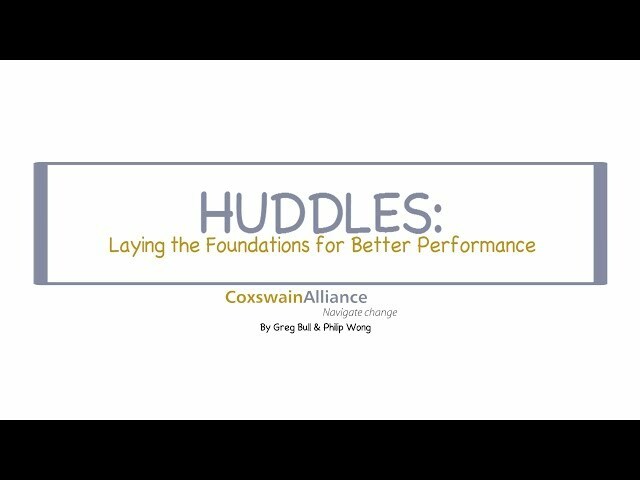 Find out how Coxswain Alliance can help your organisation through this brief introductory video that covers who we are, what we do and how we work.